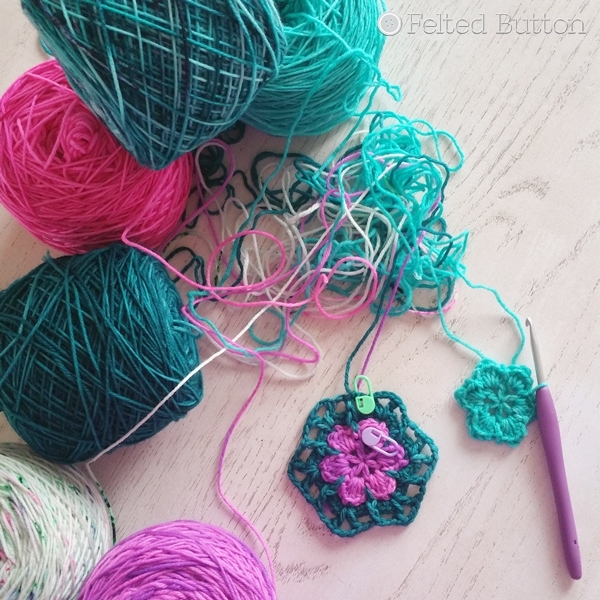 I'm so excited to be sharing my newest crochet design with you! I've named it Haarlem Wrap (explanation for the name coming). Wanna see it? I've just released the pattern for this and you can find it in my Ravelry shop here or my Etsy shop here. There are also lots of details about the size of the wrap, skill level, yarn requirements and other details in the listings there. 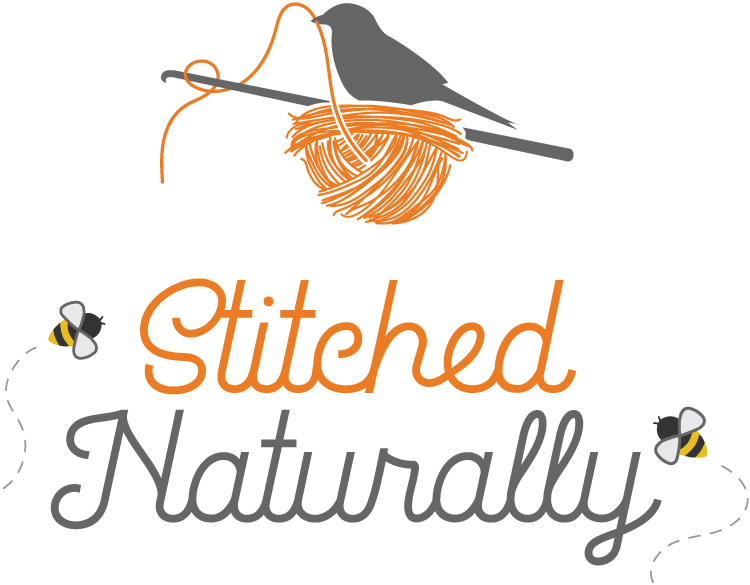 Here's the story of how my Haarlem Wrap came to be. At the end of last year, while I was at the Scheepjes Blogger Days in The Netherlands, I bought some beautiful hand-dyed sock yarn while out shopping with Atty of Atty*s.
I had no idea what I would make with it, but it was such a beautiful collection of color and soft merino superwash that it found its way into my suitcase. As I do with many designs, I think about the yarn. And think and imagine. And think some more. Nothing for a bit. Then I pulled out my Scheepjes swift* and made some cakes. Then more thinking. One fine day I decided to get my hook and play with it. It started with a lacey triangle. Then a hexagon. Then about 6 more variations. (Designing can be messy.) After many hours I got to this point. I was happy with the "floating flower" and the texture of the outside. But it wasn't done. Add some rounds continuing the texture to the edges. Hmmm. Now we're getting somewhere. I knew that I wanted it to be join-as-you-go, because I love that when it's done, it's done. (And I don't love joining hexies by hook or hand.) But then the joining was too "tight" (above). I wanted something lacier, with more drape. Frog the joining round. Play some more. And some more. Try more color changes--maybe every other round. Nope. Too busy. Back to two colors. This. This is it. I also decided that the 7 colors I used would have no placement plan. That's unusual for me, as I really like to be thoughtful about how I use my colors. But I just couldn't with this one. 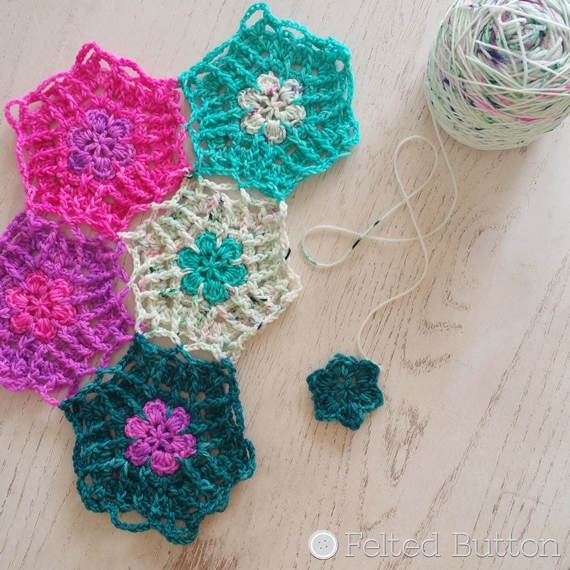 I went with what felt good and tried to not put two hexies of the same outside color next to each other. I knew I wanted a shawl. But what shape. Triangular? Rectangular? So it just grew into a silly odd shape until I finally decided it was going to be a rectangle. Remove some motifs and rearrange. Yes. That's perfect--it can be worn like a scarf or wrapped around the shoulders, or draped over your back. I like that. The rest was a breeze. Just happily and randomly building motifs while sitting at TaeKwonDo, or in car pool line, or while my hubby drives me across town. I found such rhythm and joy in making them and watching it grow. Then I needed to fill in those gaps at each end. 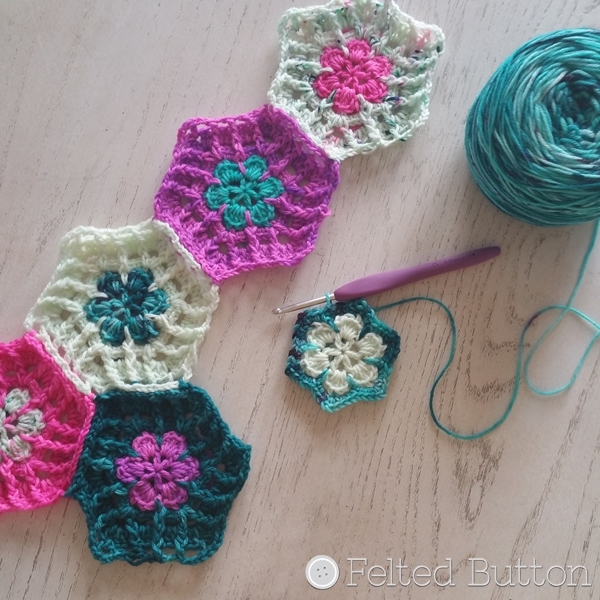 So it was on to designing a half hexie. I think they are quite adorable, if you ask me. But it still needed something. Tassel fringe! Yes. That's perfect. So I chose the solid white with a tinge of lovely green in it for the fringe--making it fairly long for a dramatic and drapey effect. I must say that I'm really happy with this one. The whole designing process was a delight. And the options with this could be huge. Although I made it in sock yarn, I think it would be super in a heavier yarn and joined into a beautiful blanket. Imagine a single color with little colorful flowers arranged throughout. I think the possibilities are endless. So why Haarlem Wrap? While in Holland, I visited the town of Haarlem, particularly to visit the Ten Boom Museum. What a special experience that was for me--one always to be treasured! So since the yarn came from my travels to that part of the world, the wrap gets the name Haarlem to remind me of that memorable experience in that beautiful town. Thanks to my brilliant testers--Noelle, Courtney, Cassandra and Marisa--for making certain this goes out to you in winning fashion. If you make one, or any other Felted Button pattern--please share your creations with me by tagging me (@FeltedButton) on Facebook or Instagram and letting me see your pictures! It's magical seeing what others create using an idea that began like this one--in my head--and translates into something beautiful by your hook and hands. 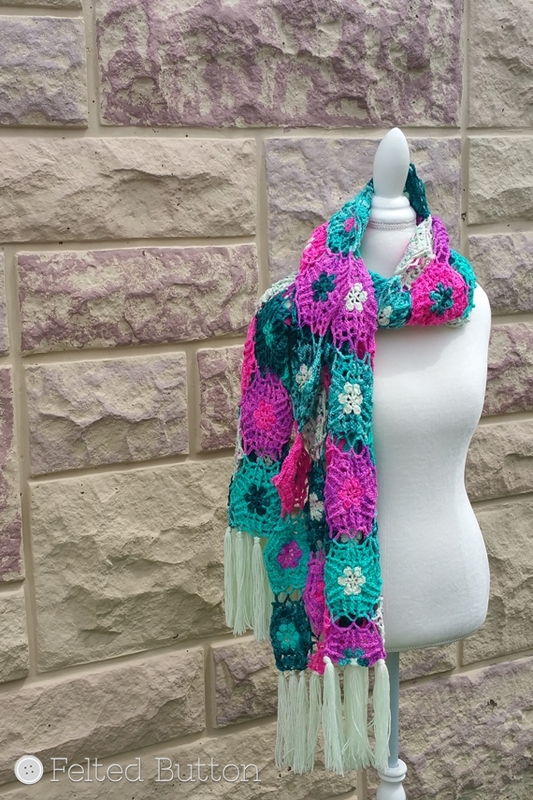 Love this shawl or wrap I am going to have to make one. 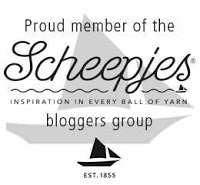 Love your blog and your quotes are from my favorite people.